Searching for the best hiking backpack is always going to be a fun exercise, and we will always be intrigued by the number of compartments, especially the hidden pockets, in which we inevitably lose smaller items. We are going to take a look at the best hiking backpack for traveling, or whatever your pleasure may be. Hiking backpacks have come as far as tents have, and inasmuch as modern tents are a far cry from their early cotton canvas iterations, so too have backpacks followed a similar evolution. Modern backpacks are unrecognizable against their cotton canvas rucksack forefathers. Nylon, light wire frames, Velcro, clips, mesh, padding, zippers and straps all come together in an attractive and highly functional piece of equipment and the range of colors is almost endless. 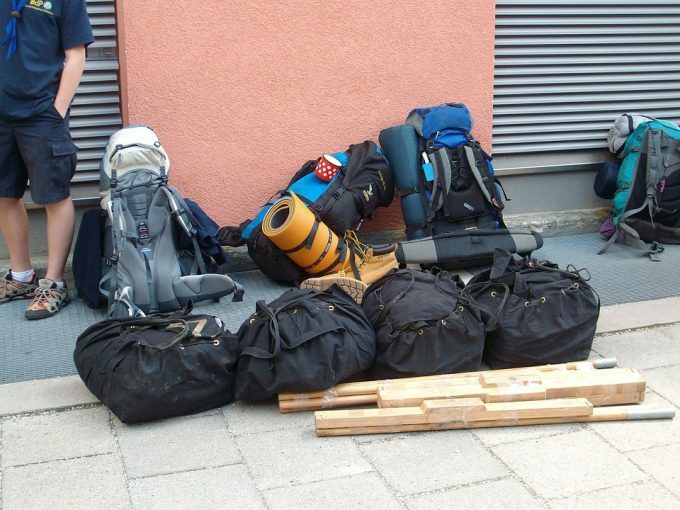 Now, before you go laying out your gear, kit, and food on the kitchen table to see what size backpack you need – STOP! The idea is to FIRST get the RIGHT backpack for you, and then decide what to take and what to leave behind, it’s that simple. Deciding on the color, whilst important to some, should be the last consideration, as to how your backpack fits your frame is the most consideration. Thankfully, this is a fairly simple process of measuring your torso. Tempted as we may be to repeat the frequently found tables and suggestions about trying to determine the size of your ideal pack based on a number of days that you will be away, is always going to be just a best guess. All your gear should fit snugly into your pack – too big and your gear rattles around, too small and you end up breaking zippers. Only you will know how much gear you like to take along, and therefore only you can decide what size backpack is best suited to your application. A lightweight backpack is the best for intending or established hikers. The backpack you want to purchase must not be heavy. A heavy backpack slows you down on your travels. The weight is very important because the backpack will be used to carry loads. The loads are heavy enough so the backpack must be very light in weight. There is only one thing you need to think about when looking at the bag’s material: is it easy to clean. Your bag is going to be thrown around, sitting on the floor, might come in contact with water – you know, normal stuff. We strongly advise that you look for a bag that has material you can easily wipe clean and is also stain-resistant. Before concerning yourself with the positioning of the hip supports or shoulder suspenders and straps, the height of your backpack should be determined in accordance with the length of your torso. This is how to measure your torso; tip your head over and feel for the C7 vertebra, this is the uppermost protruding bump just before your neck starts. Extend your tape measure down the length of your spine until you reach your iliac crest – What is your iliac crest? Place your hands on your hips, thumbs pointing towards the center of your back, and the line between your thumbs is about in line with your iliac crest. Manufacturers use the universally accepted volume-in-liters measure of the space that is available in their backpack. This is purely a measure of volume, and one should the mistake of equating liters to kilograms in terms of mass. 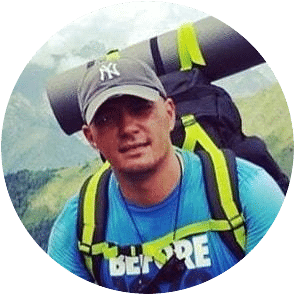 Generally, the size is immediately obvious in the name, for example, the first pack that we look at is the Osprey Packs Farpoint 70 Travel Backpack, and the ’70’ refers to the volume of the pack into which your gear should fit. Many modern packs have stretch mesh external pockets which can increase the volume of pack space significantly. The material or fabric, which has evolved from the original, heavy and non-water-resistant cotton canvas to lightweight rip-stop nylon, most of which are water resistant to a degree. Shifting the load bearing points from the shoulders to the hips, and this has been largely achieved through the integration of a frame, which not only stabilizes the back, but transfers the weight to the hips through the attachment to the hip belt. For the most part, the frame is integrated into the pack and is not visible from the outside of the back; this is the case for the vast majority of modern backpacks. The frames are made from extremely lightweight aluminum, or even carbon compounds generally just run down the length of the pack. External frame backpacks are available and are generally used for very heavy loads. Smaller volume packs are also available without frames of any sort since load distribution is not an important consideration. Now that you know the different types of hiking backpacks, as well as the features you need to think through, let’s take a look at some of the best diaper backpack diaper bags on the market. Special features: Detachable reverse spacer mesh harness, dual front compression straps, scratch-free stash pockets, and lockable zippers. Best use: As a detachable day pack. Description: Right up front Osprey have what they call their ‘Almighty Guarantee’ and if they cannot repair a defect or malfunction, they will replace your backpack. 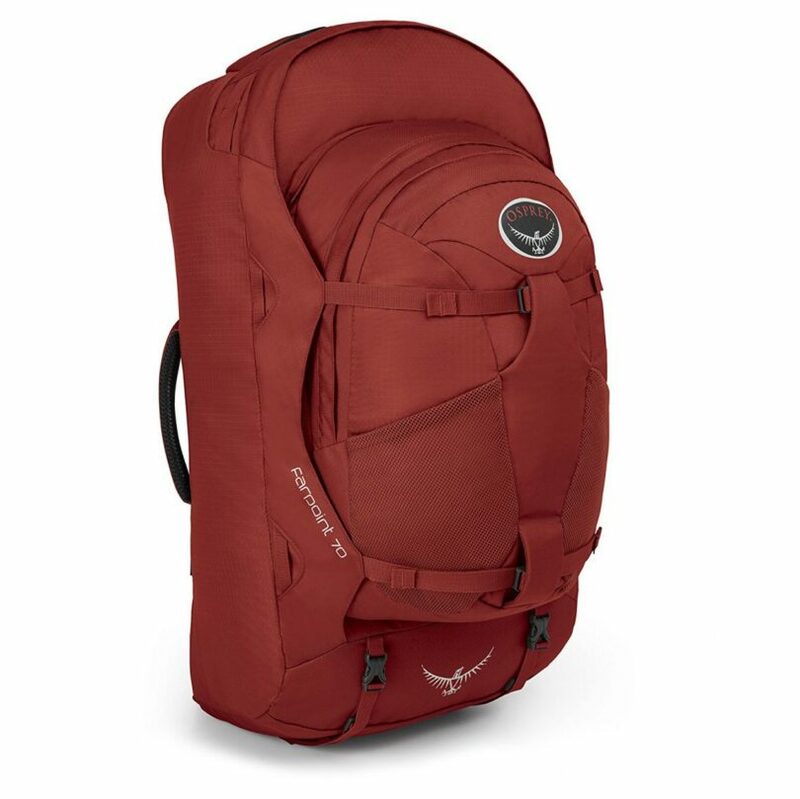 The Osprey Farpoint 70 is a large backpack and has a large front panel zipped access, which is can be locked, making finding your stuff infinitely easier than the top-load models. The unisex back panel, hip belt, and harness can be stowed when you need to check your luggage in. This backpack has been designed to attach itself to Farpoint 70 and 55. The reverse spacer mesh harness is very comfortable and stows away when you are not using it. The main compartment has a designated laptop and tablet sleeves and a stash pocket, which is scratch-free to protect eyewear. 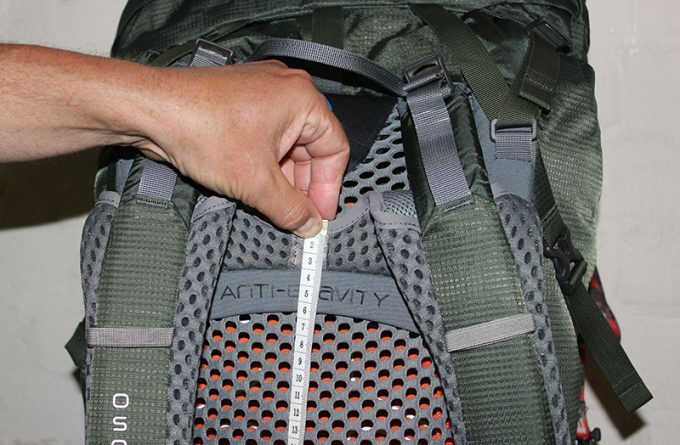 The zipper pulls on the core section can be locked to keep your gear safe. 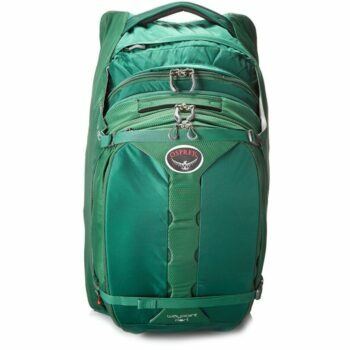 The Osprey 70l features dual front compression straps to keep your gear stable and manageable. And handles on both top and side, are very handy when you need to hoist your backpack. The detachable day pack is ideal when you need to recce a route or when you out for the day. Related: If you think that this is the right backpack for you, all you need now is a Pressurized Hydration Bladder by Watertite, to keep you hydrated during your trips. Special features: Lockable double zippered front panel, double foam padded sidewalls, modifiable harness. Description: Another quality product from Osprey, and made from 320 denier rip-stop nylon (420 pack cloth accent and bottom, the Osprey Waypoint 80 is very flexible in its applications. As with the Farpoint 70, the detachable day pack is very useful and includes a 15” padded laptop or tablet sleeve. The backpack comes with a double zippered front panel, which can be locked; it provides access to the main compartment of the backpack. The double foam padded sidewalls technology works together with the Straightjacket compression system to protect the contents of the backpack and also to make the loads stable during transit. 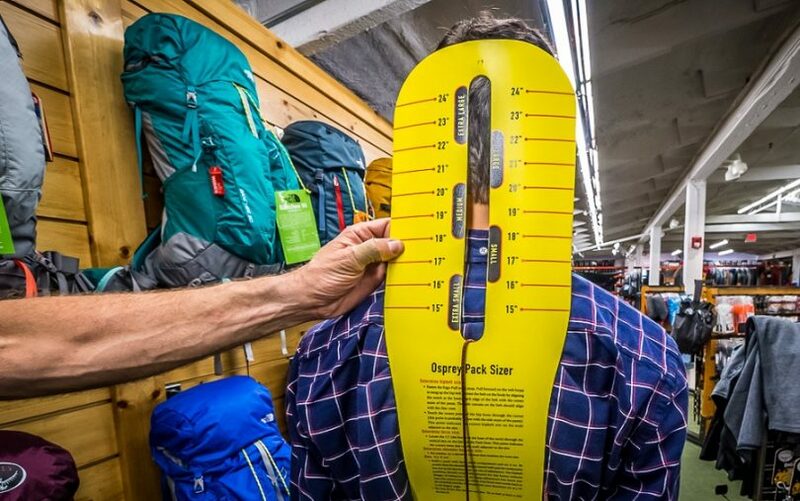 The modifiable harness of this backpack can move either up or down by using the window attached to the backpack as a fit guide to be able to discover your proper torso size. 80l capacity is generous by any means, and dual internal compression straps keep the load firmly in place. The hip belt and torso are adjustable and will give you as much as 5” to find the perfect match for your size. Related: You will definitely get hungry on your outdoor adventures and you will need to prepare hot energizing meals. So, if you want to save up space in your backpack and keep it as light as possible, we suggest checking out the Etekcity Ultralight Backpacking Stoves. Description: Let’s take a look at Osprey Porter 65, at the top is a zippered accessory pocket which is ideal for liquids and other frequently needed and quick to access items. The main section of the backpack is accessed via a lockable zippered front panel, and this makes access to all the contents quick and easy. Inside there is a mesh zippered pocket and a fabric zippered pocket, ideal for laptop or tablet. There is the option of purchasing the Daylite pack, which is sold separately, and which attaches to the Osprey Porter 65 via four reinforced cord loops. A stowaway padded shoulder harness (with sternum strap) allows for the bag to be easily hoisted and carried. All in all, this is one huge, durable backpack that can come quite in handy for carrying plenty of gear and additional stuff you might need for your trip. Furthermore, some users claim that they were able to take week worth of clothing just in the main, large compartment! Definitely a backpack worth considering if you have plenty of gear you can’t leave the home without. Related: It is very important not to go on an outdoor adventure without a first aid kit, we suggest checking out this Adventure Medical Kits Day Tripper. Special features: Additional pocket with a sleeve behind the pockets, hex mesh back panel, Zippered stash pockets. Best use: Hiking, Backpacking, Camping, Traveling. 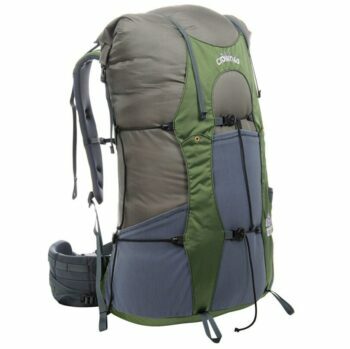 Description: Kelty Redwing 50 is an awesome backpack and offers the user to access the contents either via the top (as with traditional packs) or via the front panel, which zips open to provide access to at least two-thirds of the main section (after unclipping the external compression straps). A dual purpose lightly padded pocket serves as both a hydration pack and laptop sleeve. In addition to a top pocket, great for storing the sunglasses (usually the spot that this is subjected to the least amount of bumping and bashing); there is also a front organizer pocket. On either side is an additional pocket with a sleeve behind the pockets for storing tent poles for example. There is no complicated measuring of fitting required with the Redwing 50 as there are sufficient height and girth adjustable tension points. Finally, the hex mesh back panel ensures good ventilation keeping your back relatively dry during hot hikes. Related: If you decide to choose this backpack, then we suggest you check out this Salzmann 3M Scotchlite Reflective Backpack Cover, to protect your backpack from rain. Special features: Two external gear attachment straps, air mesh padded back panel and a cover to stow and protect the straps. Best use: Traveling, Backpacking, Treking, and even as a carry-on luggage for plane. Description: Whilst you should always check with your specific carrier regarding their carry-on luggage dimensions, the Tortuga Travel 44 is going to comply with most and was designed with the adventure traveler who does not want to pay for excess luggage or does not to part with their luggage. The theme of the Tortuga is to carry like a backpack and pack like a suitcase, and this it achieves with success, and needless to say, is not going to excel in either category. The fit of the Tortuga is best suited to individuals with a torso length of 18 – 22 inches. Finally, this backpack has locking zippers, a laptop sleeve, external and internal pockets, air mesh padded back panel and a cover to stow and protect the straps while in transit. One or two external gear attachment straps significantly enhance the practical usability for what is already a good backpack. Related: Going for an outdoor adventure without a first aid kit is really bad, we strongly recommend this Adventure Medical Kits Ultralight and Watertight Medical Kit .9 to solve your little medical needs while camping. Special features: U-shaped panel zipper, compression straps, grab handles, and luggage stabilizing straps. Description: The Deuter Transit 65 is manufactured from 600 denier Polyester thread and with a thick PU coating, providing a multi-purpose fabric which is robust and lightweight. It is suitable for general purpose backpacking. The straps of the backpack collapse and there is a fold-over zipper cover that prevents the straps from getting caught in whatsoever machinery transports checked bags at airports. 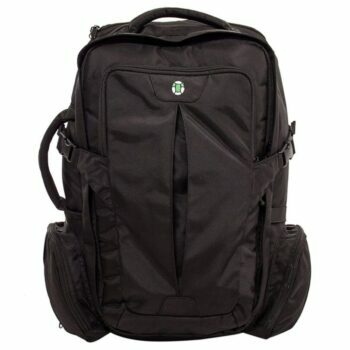 You will be able to remove the daypack easily, and once a day pack is detached, its capability to hold loads escalates. The Transit is best suited to travelers rather than hikers, u-shaped zippered from panel provides good access to the main section, and there is a separate bottom section for additional items like shoes for example. It features the usual assortment of compression straps, grab handles, and luggage stabilizing straps. The detachable day pack is on the small side and is not suited for anything other than a few items – passport, maps, camera and or phone, documents etc. Related: Going for outdoor adventures comes with a lot of ups and downs, one of the downs is that most people get dehydrated easily. To solve this problem, we recommend you get this Platypus Hoser Hydration Reservoir. Special features: OPTIFIT suspension system, dynamic aluminum frame, a separate sleeping bag compartment. Best use: A really good all-purpose backpack. 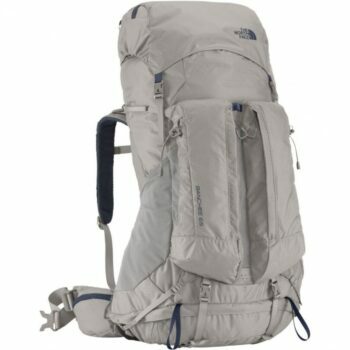 Description: The North Face Banchee 65 is a technical pack for backpacking adventures; The OPTIFIT suspension system provides a comfortable fit. This is supported by a dynamic aluminum frame. This is a top backpack with a ‘floating lid’ designed to let really stuff the already generous pack with gear. Two tool pockets on the front panel, a separate sleeping bag compartment, and breathable Beavertail pocket that stores wet gear away from the rest of your kit. 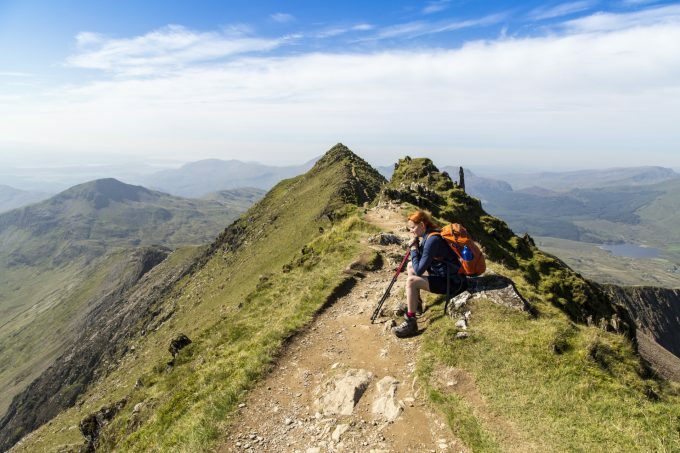 Although only available in two sizes, either has a wide adjustment range, which is almost certainly going to accommodate the majority of hikers. 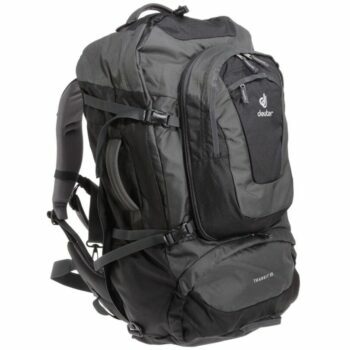 The pack is surprisingly comfortable given that is one of the lightest options available to backpackers. Top loading backpacks are always going to be a little more difficult than the alternative front panel opening types, but with 8 pockets, there is more than enough space to organize your gear, so you know where to look for it. Related: If this is the right backpack for you, we recommend this Master Lock 1547DCM Backpack Padlock by Master Lock to protect your backpack from theft during your outdoor adventures. Special features: Vapor Current back pad ventilation system, removable frame, dual density padding on shoulder and the belt. Best use: Hiking, Backpacking, Traveling. Description: There really isn’t anything not to like about the Granite Gear Crown VC 60, and whilst the regular gives you a generous 60l, the longer will increase this be an additional 5l. The considerable practical design that went into this pack, helped in part by Granite’s ambassador and long distance hiker of note, Justin Lichter. The frame of the backpack itself can be removed, so the pack can be used for very light loads without the frame. The technology used for the belt and shoulder straps is dual density padding and updated narrow webbing straps. The shoulder strap possesses a built-in stretch mesh pocket, and the belt has the capability to accept our elective hip belt pockets. Vapor Current packs are fixed (non-adjustable) torso packs that come in sizes: Short, Regular in women’s models and regular and long in the men’s version. 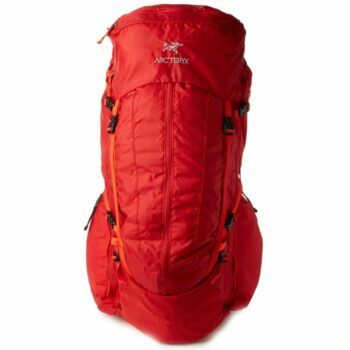 This pack is elegant in its simplicity, yet packed with features including the very effective Vapor Current Suspension back panel which keeps you about as dry as you are going to get during a long trail in hot conditions. Add the heavy duty front and side pockets, and generous compression and you can carry extra gear on the sides, front and top. Related: It is imperative not to go on an outdoor adventure devoid of a first aid kit, we suggest checking out this Lifeline Trail Light Dayhiker First Aid Kit by Lifeline. Special features: Great pivoting waist harness, large ‘U’ shape zipper for the main section and a full-length kangaroo style zipper on the front pocket. Best use: Hiking, Camping, Backpacking. 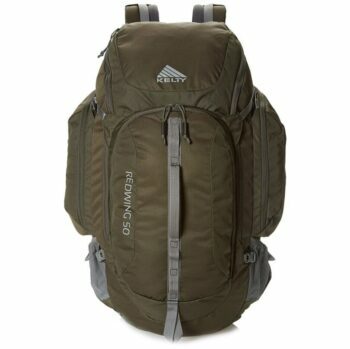 Description: Considered by many as the best backpack in its class, and Arcteryx Altra 65 is certainly packed with some useful features including the pivoting waist belt, but at the price, this is going to be a tall ask for most of us. Having said this, the Altra 65 is an extremely comfortable pack, and even the most serious hikers attest to its comfort and durability. The pack features a large ‘U’ shape zipper to access the main section, and a full-length kangaroo style zipper opens the front pocket. As to be expected, the Altra includes some pretty well thought through little features, one of which is the two zippered pockets in the lid, and side pockets located low down on the pack to make getting bottles or other pieces of gear in and out of without having to take the pack off. Arc’teryx calls their size adjusting system, the Gridlock system, and amongst other adjusting angles and, it offers the unique ability to move the shoulders inwards or outwards. All of this combines to ensure that the Altar can be adjusted to fit almost anyone. Related: If this is the backpack you decide to choose, we recommend this Pacsafe Wrapsafe Anti-Theft Adjustable Cable Lock by Pacsafeto safeguard your backpack from theft during your adventures. 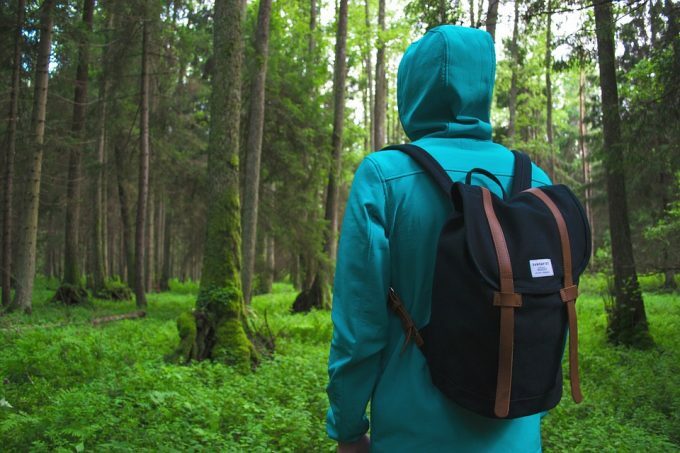 With a little care, these are backpacks which will probably be passed on; and whilst there are indeed hundreds of alternatives, some have come pretty close to mimicking the look of the packs supplied from the biggest brand names. It is not just the peace of mind that one is buying, at a price of course, but they are the real deal, and enjoy extensive warranties against any defect or malfunction. 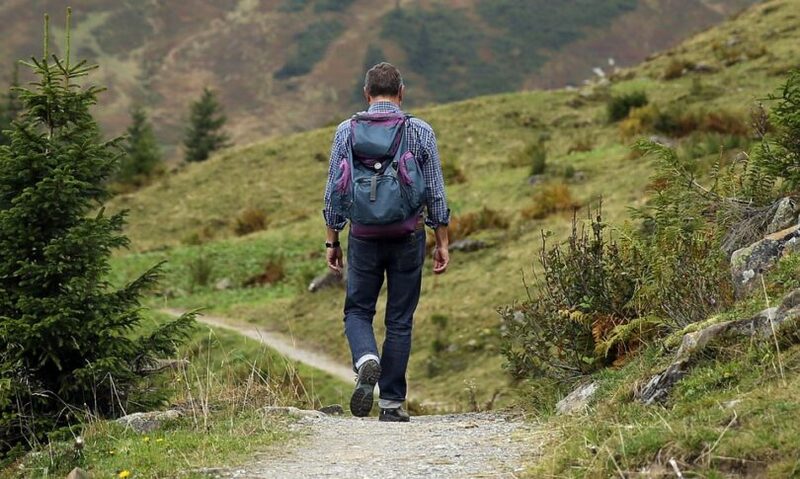 By their nature, hiking backpacks are designed to withstand considerably more than a careless airport baggage handler and are simply worth every cent. This fact is often only realized when compared to lesser quality brands and well into your hiking trip. Remember, spend the time to get the correct size pack, load it up if you can to simulate a load, before you begin thinking of what you going to take along with you on your next adventure.